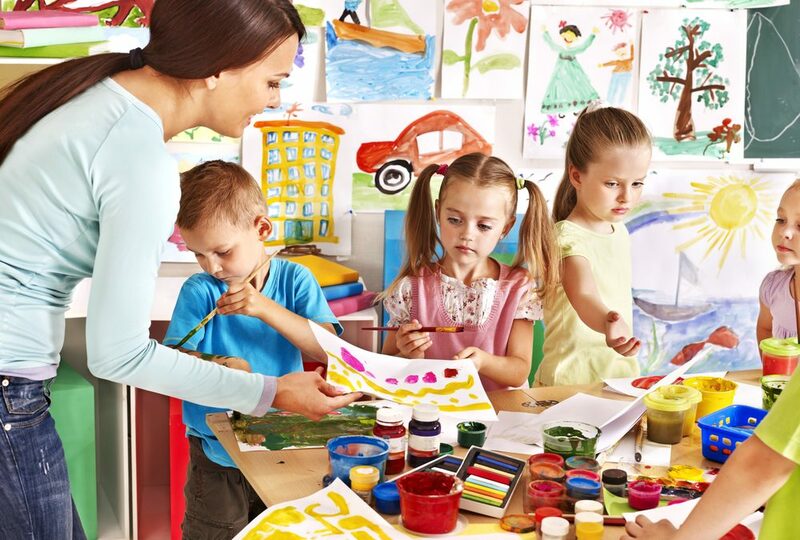 When it comes to deciding whether to enroll your kiddo into a private or public kindergarten, the choice will ultimately depend upon which is the best for your child and family. Here are some important factors help you educate you on the differences between the two so you can make an informed decision. Many private kindergarten programs allow children to have a more hands-on class setting for their first year of school. This active learning teaches children a variety of learning activities and experiences that support cognitive, physical, social, emotional, and language development skills. ProTip: Private kindergartens provide a rich environment in which children can expand their skills and independent learning. Another great advantage to private kindergarten is the smaller class sizes. A smaller student to teacher ratio allows enhancement of the learning experience and encourages learning in specific content areas while giving children the freedom to make choices as they explore their environment. One key difference between public and private kindergartens is the curriculums offered at each. A private kindergarten follows a unique curriculum that focuses on cognitive, language, social/emotional, physical, and aesthetic development, getting them ready for their transition into first grade. For most people, a major deciding factor when deciding between a private or public kindergarten is the school cost. While public schools do not charge tuition, many times they are underfunded, as well as influenced by political winds and shortfalls. A private kindergarten might cost each month, but the benefits for your child’s first learning experience is priceless. Children learn best by actively engaging with people and the things in their environment. In private kindergarten, children are involved in hands-on experiences, real-life adventures, and assisted discovery as they explore concepts through play. Is your little one making the transition to kindergarten and you’d like to learn more about the benefits of a private school? Join the conversation to learn more!